Money Bag With Word Price, Down Arrow And Wooden House. 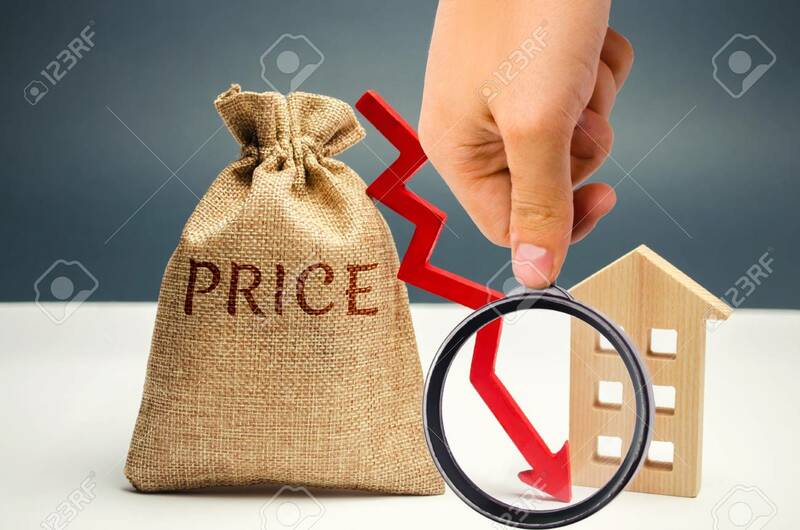 The Concept Of Falling Property Prices. Lower Housing Prices. Low Rent. The Decline In The Value Of The Property. Low Utility Prices Royalty-Vrije Foto, Plaatjes, Beelden En Stock Fotografie. Image 116139397.